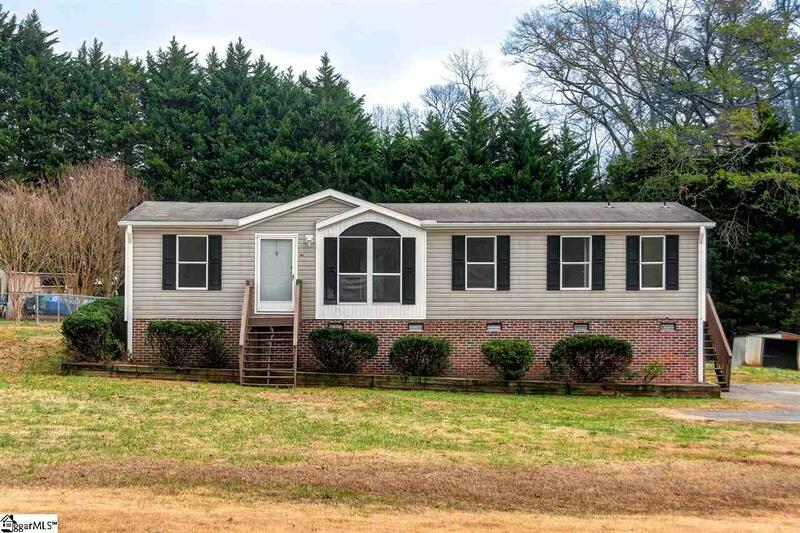 Renovated Move-In Ready 3 bed 2 bath Mobile Home with Brick Foundation on spacious .56 acre lot in Taylors. 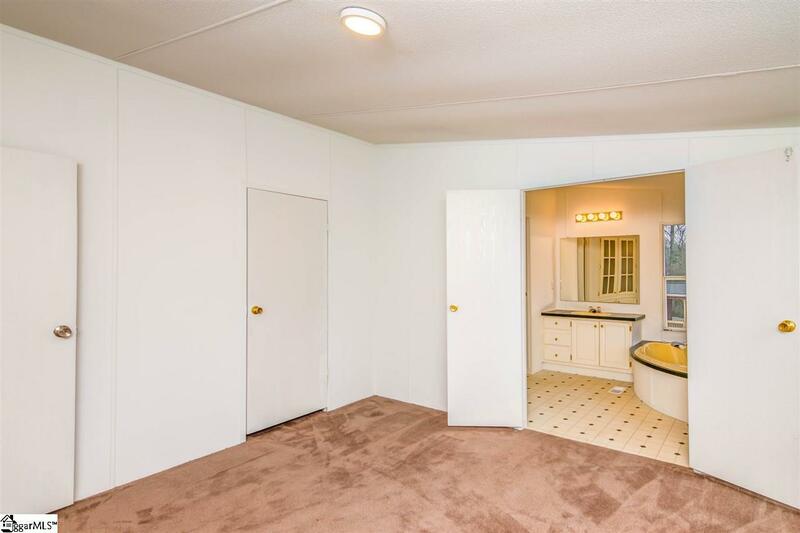 Some of the updates include: New Roof, New side deck, Vapor Barrier, Fresh Paint, New Laminate Floors and Carpet, Stainless Appliances, LED lighting and New Bathroom Sinks. 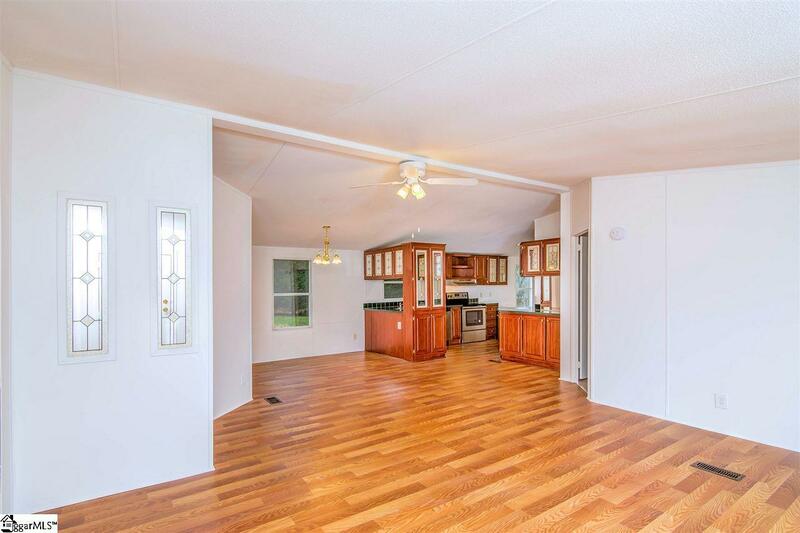 The spacious kitchen has plenty of counter space for the cook in the family. Continue to the open Great Room and spend time entertaining with friends and family. 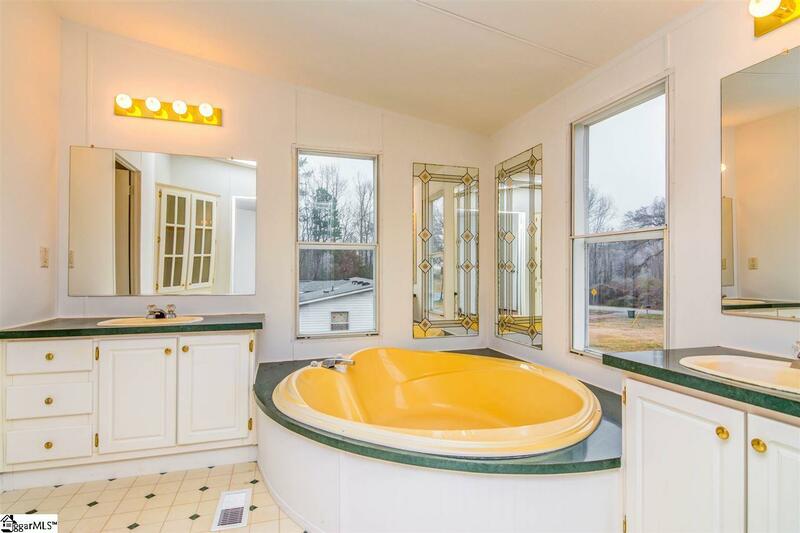 The master suite boasts a walk in closet and the master bath features a large garden tub, separate shower, and double sinks. Bring your offer today!